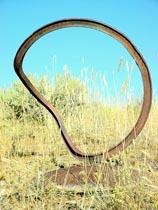 Metalworker Susan Church is a native to northeastern Nevada, now residing with her family at the Keddy Ranch north of Elko, Nevada. She was introduced to the art of welding by her father, Arthur Glaser, and furthered her skills at the Northern Nevada Community College in Elko. 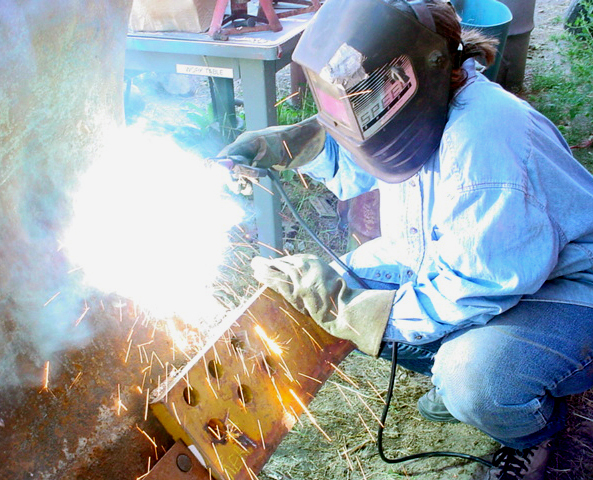 Susan went on to study art and design at the San Francisco Academy of Art and joined up with other metalworkers through the California Blacksmiths Association. 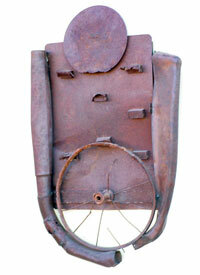 Susan finds inspiration in found objects, junkyards, and the western landscape. Her work is often whimsical and takes shape in various series including food, neon, and domestic art. 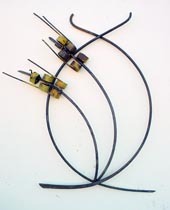 Susan's larger architectural installations can be found in Elko at the Elko County Library and the Great Basin College and in San Francisco at the Ben Franklin Middle School.